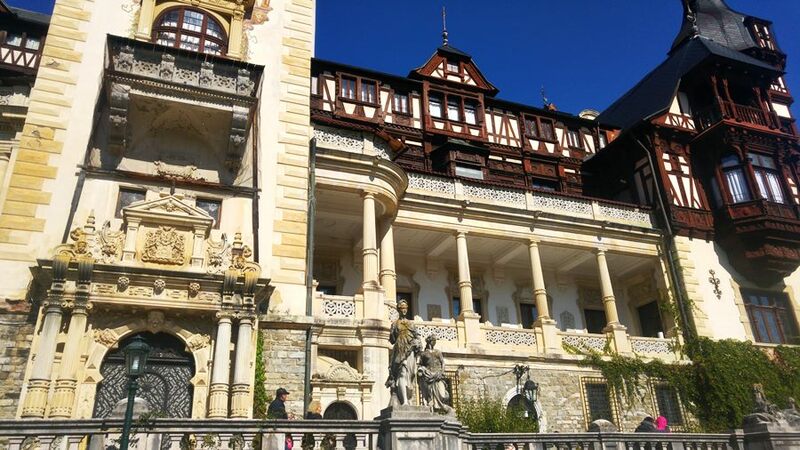 During Kemkem’s visit here in Romania, we had some time to visit one of the most beautiful castles in the country: the Peles castle in Sinaia. You’d think that after visiting something as impressive as the Palace of Parliament, nothing else can impress you anymore, but fortunately that’s not the case! 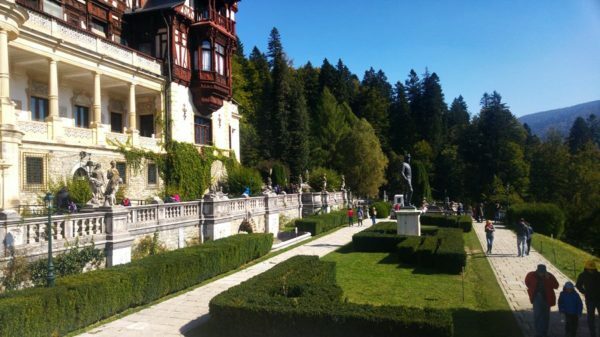 In today’s article, we’ll learn everything about Peles in Romania: how to get there, operating hours, what is the price for visiting it, as well as my personal opinion about the place. 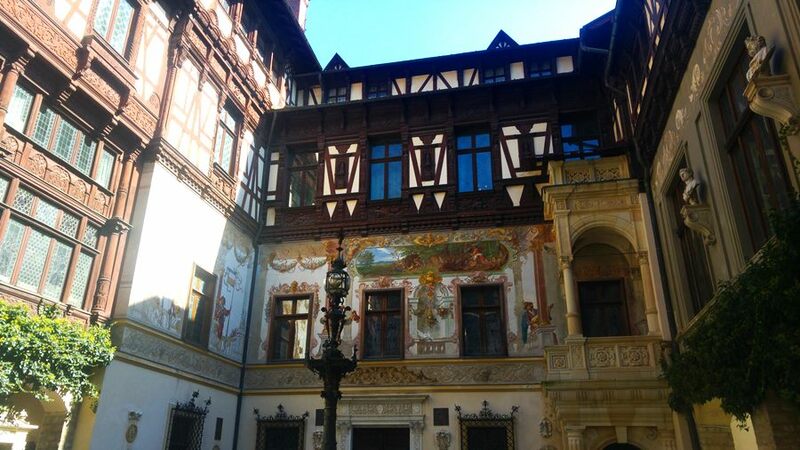 And, of course, some facts about this gorgeous palace! 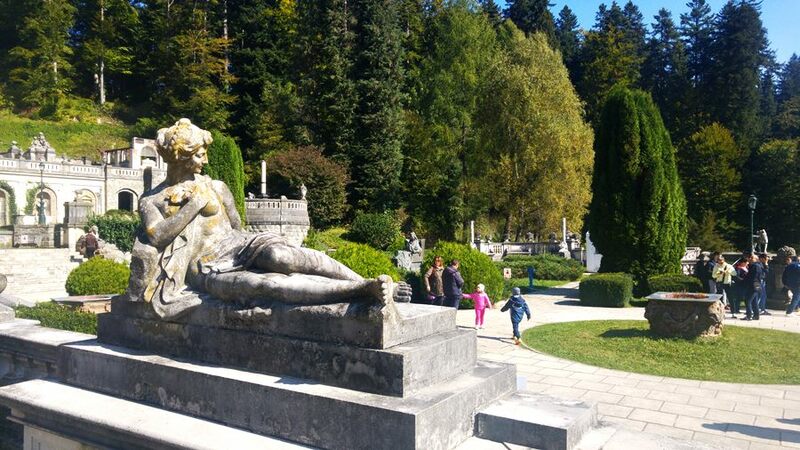 If you’re traveling from Bucharest, you’re in luck as you have a ton of options to get there: trains and buses constantly go to Sinaia, the city where the castle is located, and you’re there in about one hour and a half. The price of a train ticket to Sinaia is about 40 lei from Bucharest (about 8.7 Euros), but there are cheaper options available as well from other train companies or bus operators. 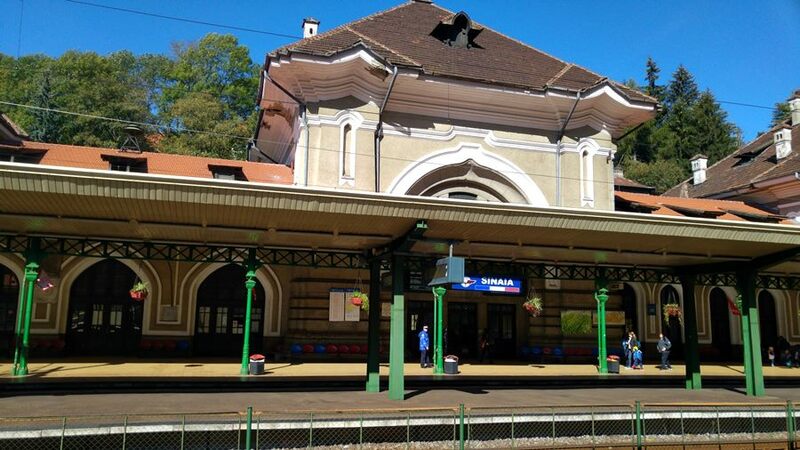 We went there by train – barely made it actually, as Kemkem’s Uber driver kept circling the train station in Bucharest trying to find our meeting place (which was impossible to do since it was inside the train station where no cars have access). It was pretty intense, actually, but we can now look back and smile remembering it. So, once you get to Sinaia, the best option is to take a taxi to the castle – otherwise you’re up for an energy draining hike that would last about 30 minutes. The taxi should be at most 20 lei (4.5 Eur) – I actually think that it was cheaper than that at 15 lei. Yeah, I loved my breakfast that day, that’s a fact! Tasted really good too, especially since the chips were freshly made and perfect! 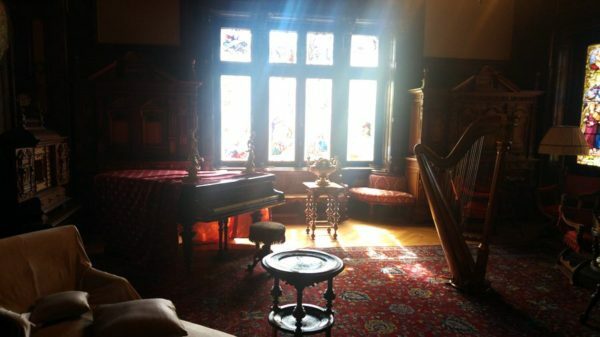 The place looks, just like all the photos show you, like palace from fairy tales. It’s beautiful and the mountain views, with all that fresh mountain air and green grass and trees make the whole thing even better. You can’t help but fall in love with the place as soon as you see it! 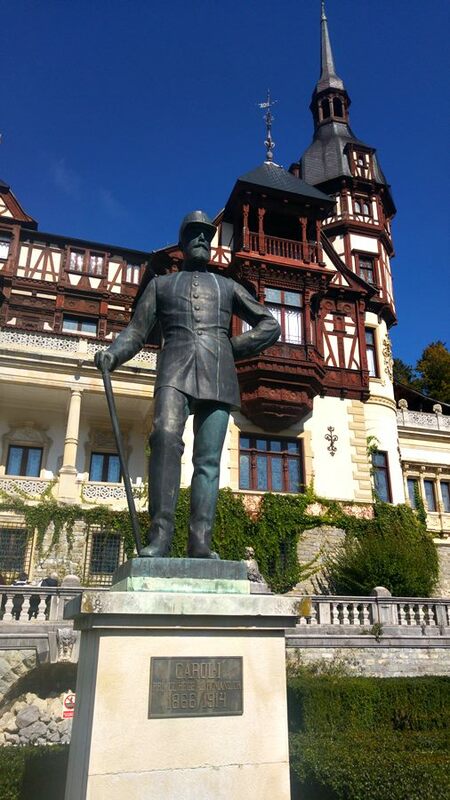 Construction work for the castle began in 1873, when Romania’s king Carol I decided to build a summer retreat for himself and his family. It is said that he simply fell in love with the area when he first saw it – and I can totally understand why. The architecture combines different features of classic European styles. Even more interesting is the fact that the castle was built in a few stages, new additions appearing in 1893 and 1914, both created by a different architect. 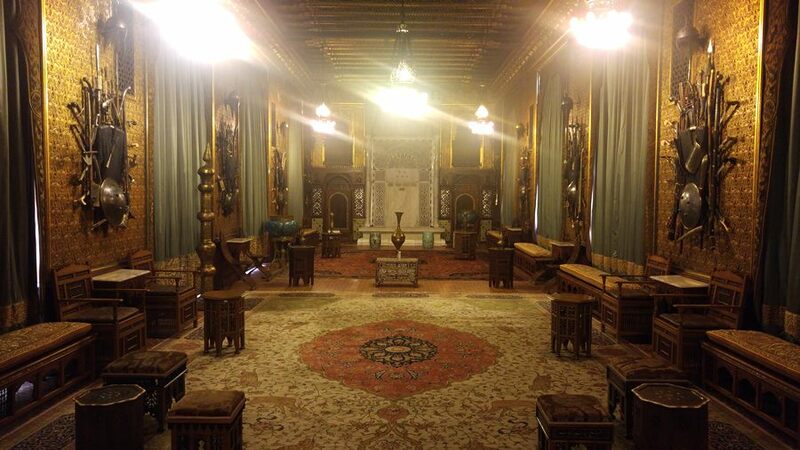 He was really good, because today it’s impossible to guess that this isn’t a palace built in one go. As you can see, this is indeed a palace (by the looks of it and based on what it was used for), but for some reason everybody calls it a castle in Romania. I am not really sure if there’s an explanation for this or King Carol was just a modest man who thought “palace” sounds too fancy. He had no reasons to feel embarrassed with his place, though! Prepare to be impressed as soon as you enter the palace! The attention paid to details is impressive! 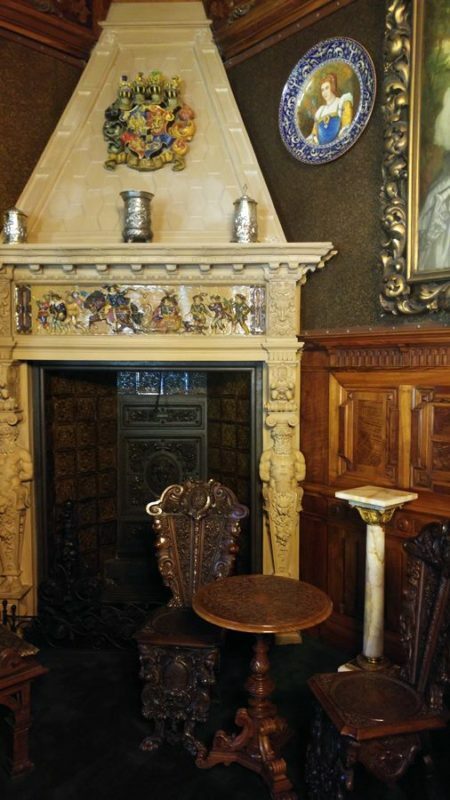 I absolutely loved the staircase to the right. 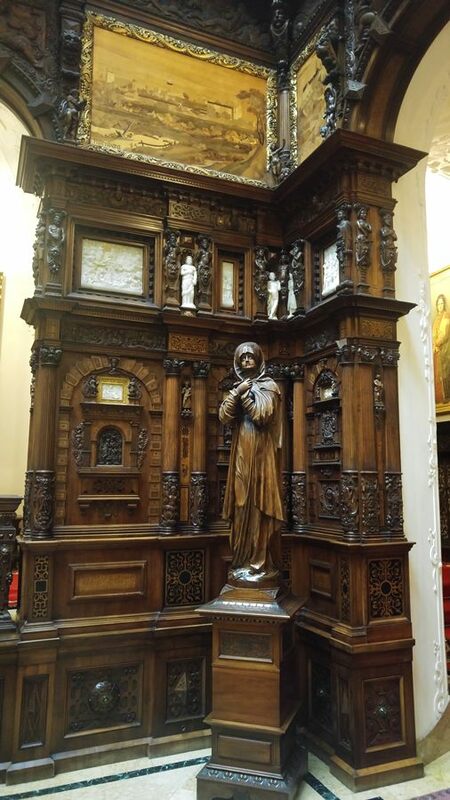 Unfortunately, it was mostly for decor… would’ve loved to climb those stairs! The weapons room had tens of weapons from the King’s collection. Apparently, he really loved his weapons! Not sure how comfortable these are, but they certainly look good! The music room. Photos would look a lot better if I had a camera with me… but we’ll have to do with this! Different rooms were built in different styles, for different guests. Probably what I’d do if I had a gazillion rooms at my disposal! 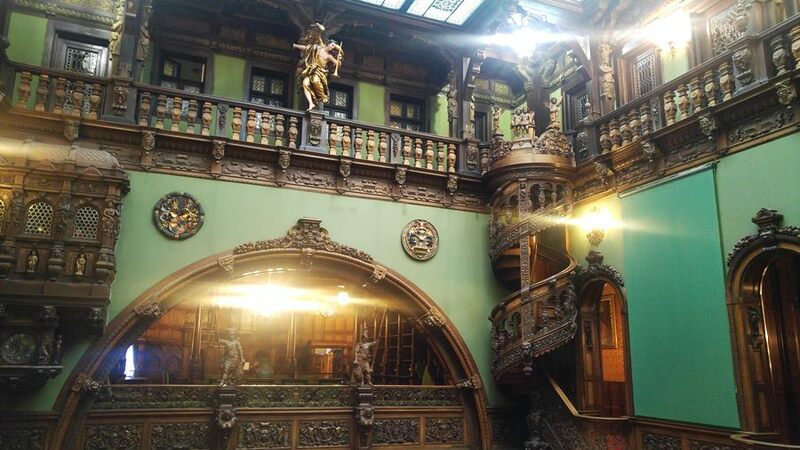 My favorite staircase again and even more awesomeness at the first floor. 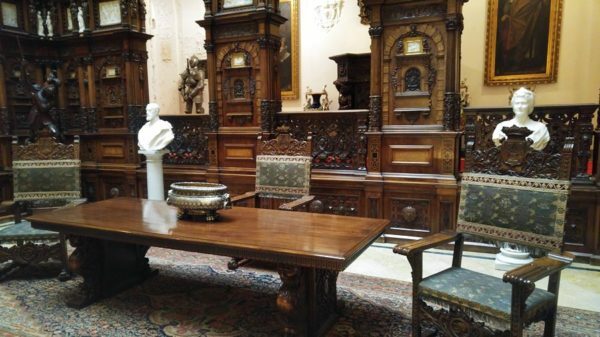 All in all, I really enjoyed the visit there and I found both the interior and the exterior jaw dropping. I am not a huge fan of castles or palaces or visiting buildings normally, but this time I really had fun and completely enjoyed the tour. And for those who can’t have enough, there’s also an extra bonus, just a few hundred meters away: the Pelisor Castle (which would translate as “the Small Peles”). Really makes you feel like you’re Austria, right? We decided against visiting it (for an extra 30 lei) and I guess it was more or less the same thing as its bigger brother. 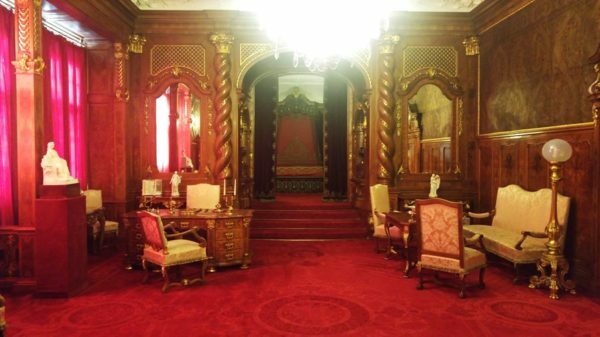 The smaller version was built in 1889 for Ferdinand, the heir to the throne. Interestingly, Ferdinand was not Carol’s son, but his nephew and he was brought to Romania from Germany to take on the duties of the king. Same schedule as above, but on Tuesdays the castle is closed as well. 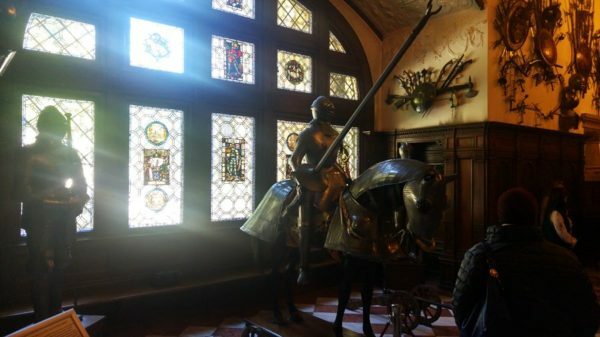 It’s also worth noting that in 2017, the castle is closed for cleaning between October 30 – November 30. Probably this happens each year, so plan ahead accordingly! Additionally, if you want to take photos (even with your phone), you have to pay an extra 30 lei, while filming would cost you an additional 60 lei. We went for the full tour but I personally think that choosing the main one only would’ve been just as good. The upper level mostly holds bedrooms and less impressive rooms so if you’re in a hurry or you don’t want to spend too much, I’d say that you can safely go for the main tour only. 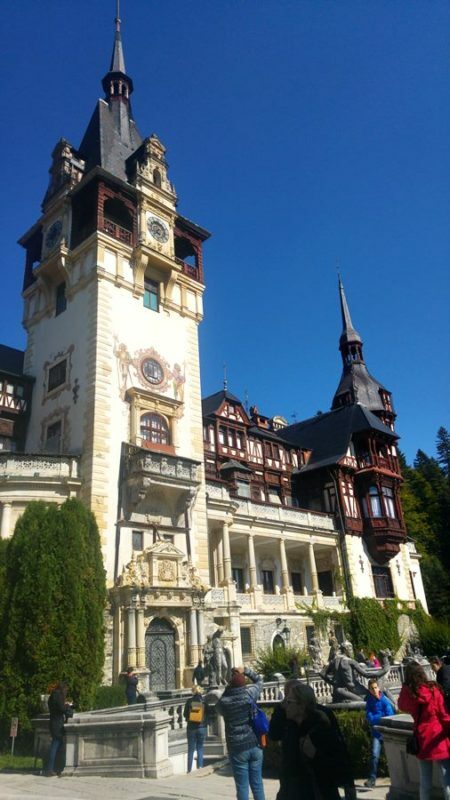 If you have the chance to get there, you should definitely visit Peles Castle. 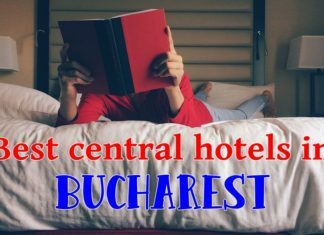 Its proximity to both Bucharest and Brasov make it a great choice for those traveling in the area. 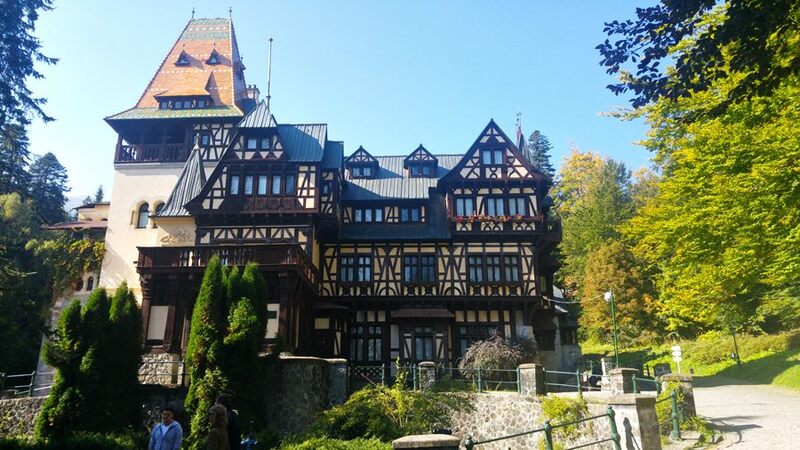 The city itself – Sinaia – looks really good and, even though small, it can offer some nice views and great dining spots or sightseeing places. Put aside at least half a day for the whole thing! What do you think about Peles, though? Does it look like a place you’d like to visit? 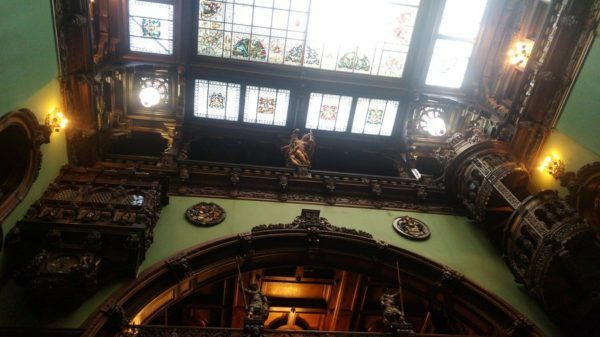 Very beautiful edifice! Your photos are impressive, for sure! The whole experience seems reminiscent of Neuschwanstein Castle in Bavaria. 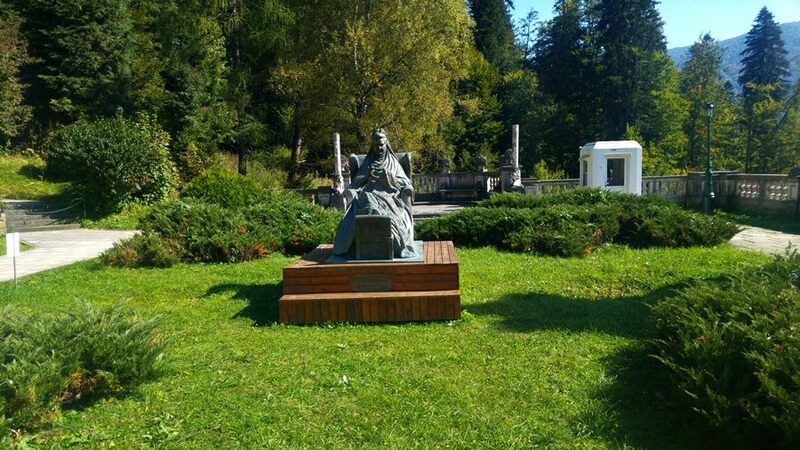 I will say it seems Peles appears more temporal than the “Disneylandish” Bavarian castle. Even tho’ it’s a schlep to Peles by foot, do a lot of people do it, anyway? I remember there were buses from city center to Neuschwanstein, and taxi, and horse-drawn carriage options, too. I think it’d be nice to have a carriage option to the castle Peles. Looks like a filling brunch in the photo. Was that a hamburger? Do some Romanians prefer soy burgers as a more healthful option? I frankly can’t tell the difference in taste, and I don’t have any guilt, as no animal was killed to feed me, and I helped reduce my cholesterol, too. Many people still go by foot to the castle – I know we did when I last visited 10 years ago. And now that you mentioned it, I don’t remember seeing a gift shop there. That’s pretty strange indeed! Regarding Uber, taxi drivers protested in Bucharest, but most of the people are with Uber here. The taxi drivers are known for behaving rudely, refusing rides and treating passengers with disrespect, which is the total opposite of Uber and the reason why more and more people go with the latter. Unless they change, I am sure they will be removed from the picture – and deservedly so! Regarding the food – yes, that was a hamburger. I’ve never seen soy burger options wherever I went and I think you should indeed look carefully in order to find one – and that probably just in the larger cities. Absolutely gorgeous images! It is a beautiful place and we were both duly impressed. It deserves the hype and we had a wonderful time visiting. 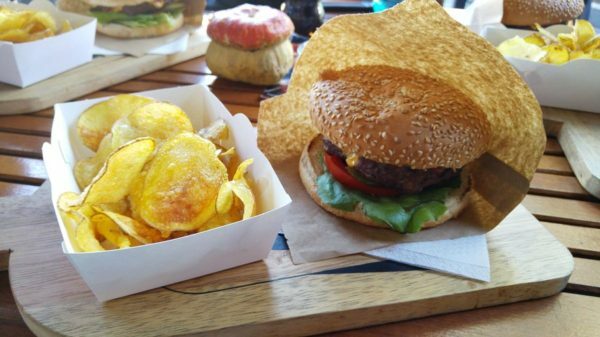 My mouth is watering with the recollection of that burger and especially those chips..so light and crispy. Great breakfast indeed! My gosh..to think we almost missed that train! What a way to meet your wife..haha! running through the train station! The staircase for show was so cute. I always say this when l visit this castles! It’s good to be the king. I remember one of the old dogs lying and soaking up the sun in the garden when you guys first went down. I was thinking he had the right idea. Thanks for taking us to experience this wonderful place. Awesome place and memories :-). I could kick myself for passing that up. I remember the train stopping at the train station which I thought looked pretty nice. The history of the Romanian royal family is interesting and I am going to totally mangle it (please correct me). I think King Carol I was already a German prince who was imported to be the king of the new Romanian nation which was comprised of Moldova and Wallachia. He came from Hohenzollern in Baden-Württemberg and a branch of the Prussian royal family. 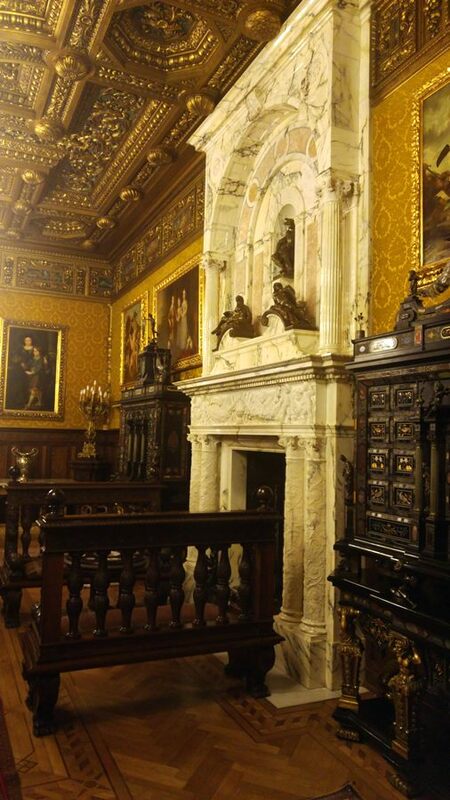 The family has a very fancy castle back in Germany. It’s probably just propaganda, but Carol I and his successors did a lot to make themselves “Romanians” by converting to the Orthodox religion and trying hard to make the common Romanians like them by being benevolent and all that. That Romania became a “great” nation in 1918 with all its regions united into one country certainly didn’t hurt their mystique. I find it remarkably prescient that they threw Romania onto the side of the Allied Powers during WW I when their roots might have encouraged them to throw in their lot with Germany or remain neutral. Unfortunately, King Carol II did not have the same wisdom and Romania started WW II on the side of the Axis Powers before switching under his son Mihai to the Russian and allied side and eventually being forced out by the Russians and the Romanian communists in 1947. The family lived in Switzerland ever since and have suffered a scandal recently regarding the “third-in-line” to the throne who knocked up a young Romanian woman and won’t accept paternity of the child. But I don’t think the Romanians will be restoring the monarchy any time soon. Sorry, maybe your readers aren’t that interested in history, just pretty pictures and you gave them a lot of those, thanks! Yes, you are correct about the imported king. The main reason why he was “imported” – apart from the fact that there weren’t any blue-blooded people in the country – was the fact that they needed somebody with solid influence and backup for the united Romania to be accepted by the world. And he was indeed the one who greatly helped evolve the country into the modern times. And yes, there are scandals within the royal family, now that king Mihai is taking his final breaths. 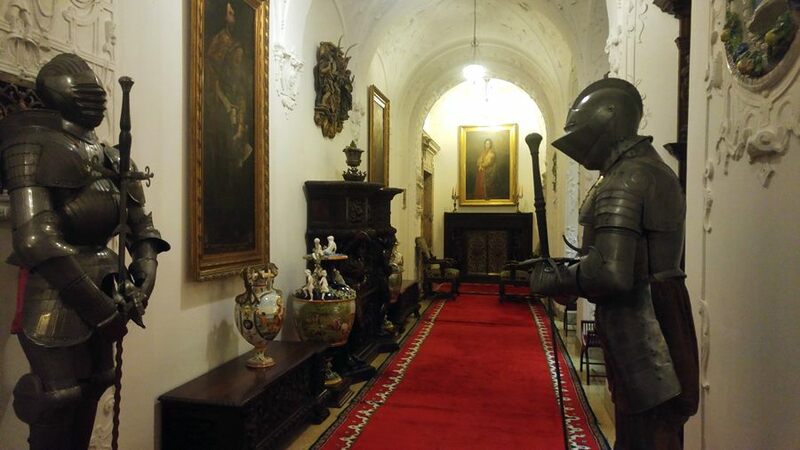 One of the younger relatives (I really don’t follow this so I don’t know exactly whose grandson he is) actually tried to visit Mihai a final time, wasn’t allowed to and a fight started on the premise… talk about royal behavior! I will do my best to include a bit of history in future articles. When you live here and you’ve heard the stories a million times, you start considering them boring or known by everybody else 🙂 That is clearly not the case and I will do my best to find the right balance between information and entertainment. Excellent and beautiful place but everyone should focus that the castle closes ridiculously early , especially in the summer. 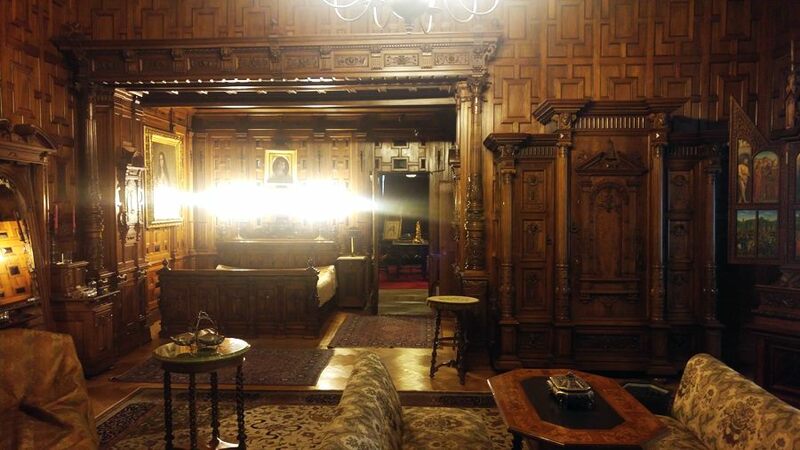 We plan to pay a visit of Peles Castel, on the 24th of this month, during a privat journey in Romania. Thanks for the nice and helpful presentation. You’ve helped us to take some decisions about the visit. I din’t find any possibility to purchase tickets ahead by internet or by other means. Are you familiar with such a possibility, in order to save some time on the lines, which are supposed to be quite long in this time of the year, especially on Sunday ? Unfortunately, it is not possible to buy the tickets online. But I hope you won’t spend too much time waiting in line and you’ll enjoy Peles and Romania as a whole!